What a week for geeks! 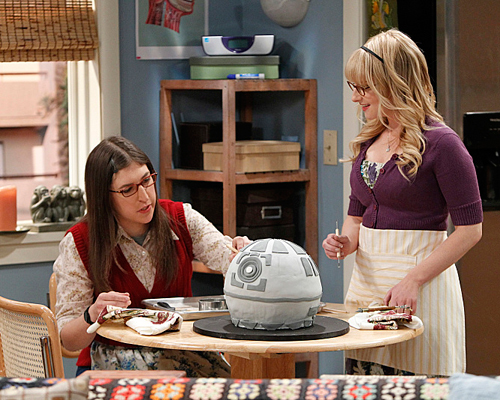 The Big Bang Theory and Lucasfilm joined Jedi forces for a special 'Star Wars Day' episode which aired last night, just days after the "Star Wars VII" movie casting announcement. 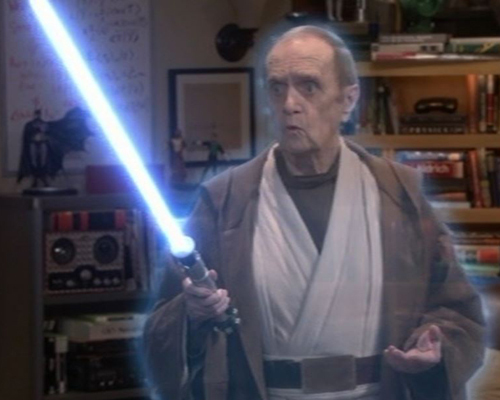 The episode, which featured the return of Emmy-winning guest star Bob Newhart as Professor Proton, did not fall short on paying homage to the beloved movie franchise. And now fans can have their Death Star cake and eat it too by indulging in a round up of the top ten Obi-Pun Kenobi's and "Star Wars" related references! Leonard: "Well, it's not May the fifth and it's not May the third...it's May the...fourth!" 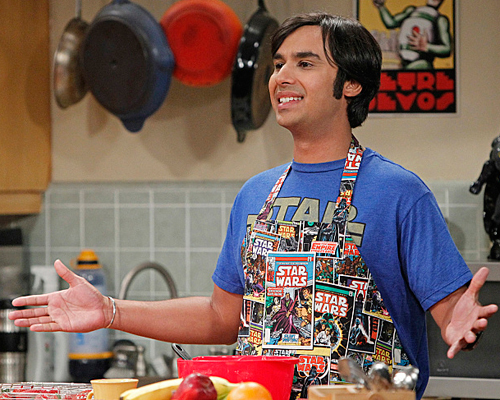 Raj: "May the fourth be with you!" 4. Raj introduces Admiral Ackbar’s Snack Bar - Watch the moment! Sheldon: "When Darth Vader struck down Obi Wan, did Luke cry like a baby and go to his funeral?" Penny: "No, he blew up the Death Star"
"Watch episodes four and five, skip one, watch two and three as a flashback and finish with 6"
8. 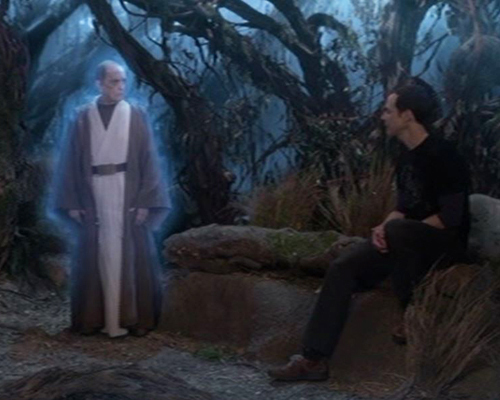 Arthur (Professor Proton) appears as Sheldon’s Obi-Wan, complete with Jedi robes and a light saber - Watch the moment! 9. Arthur asks about the meaning of Obi-Wan - Watch the moment! Sheldon: "I know! You have come to me because you're my Obi-Wan." Arthur: "I'm not, I'm not familiar with that. Is that...an internet? Sheldon: "Wow. You're dead, so I'm gonna let that slide."